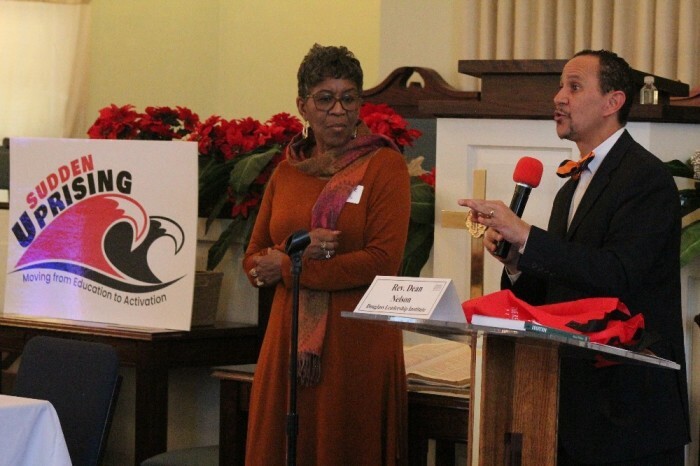 The report will be the focus of a push by the Douglass Leadership Institute in the next year as it plans to host forums at churches in cities across the nation to spread awareness of the matter in black communities. Nelson also serves as national outreach director of the Human Coalition, a pro-life organization that operates women's care clinics throughout the United States. He said the inspiration for the report came after the Human Coalition was denied Title X funding. Catherine Davis, who heads the Restoration Project, was also instrumental in compiling the report. She told CP that she got involved in this issue after her 30-year-old niece suffered three strokes because of complications from birth control. If the Christian leaders could have their way, they would entirely abolish the Title X program. But that would take an act of Congress. However, Nelson believes that President Donald Trump could use executive power to make some changes to the OPA. Davis said she would rather have the Title X funds designated to groups that counsel women and do not profit from abortions and contraception. What is happening to the African-American community, Davis said, would qualify under the Proxmire Act’s definition of genocide. Ryan Bomberger, who runs the pro-life nonprofit education research institution The Radiance Foundation, told CP that the racial history of the OPA is evident. As the theme of the Sudden Uprising conference is “moving from education to activation,” Nelson explained that the report was really the first step in the push create an uprising of opposition to the OPA. He is hopeful to work with the Trump HHS to figure out the best way to proceed. A petition to the White House to abolish the Office of Population Affairs can be found here. King, who has been a vocal supporter of Trump and has been in the Oval Office for three bill signings since he took office, expressed optimism of what Trump could be capable of. “Stranger things have happened. I believe OPA is not infallible. With the right efforts people will see the truth and demand that it be changed,” she explained.